As organizations adopt their multi-cloud and hybrid cloud strategies, continuous visibility and protection of these dynamic cloud workloads remains the #1 challenge for security teams. It’s essential to gain live visibility into AWS, Azure and Google Cloud Platform assets in order to continuously assess cloud infrastructure to detect vulnerabilities, malware and misconfigurations. This webinar will benefit SecOps teams by highlighting how they can obtain a unified view into cyber risk across their cloud environment to better prioritize response and mitigation. 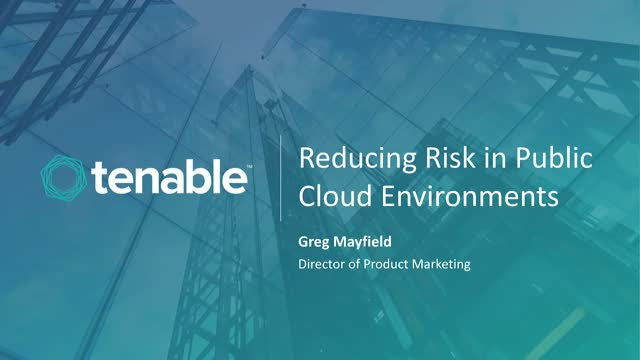 The discussion will highlight processes and tools to eliminate blind spots, secure cloud assets and applications and better integrate with CI/CD processes for fast and efficient remediation.